I have not visited Madam Kwan since it opened its door in VivoCity Singapore early last year. I do enjoy the food served in Madam Kwan, just that I feel it is very overpriced Hawker Food, Nasi Lemak priced at $13.90. I could have cheaper option with just as good as what Madam Kwan is serving. I will have it only when I am at Malaysia, that was my thought. 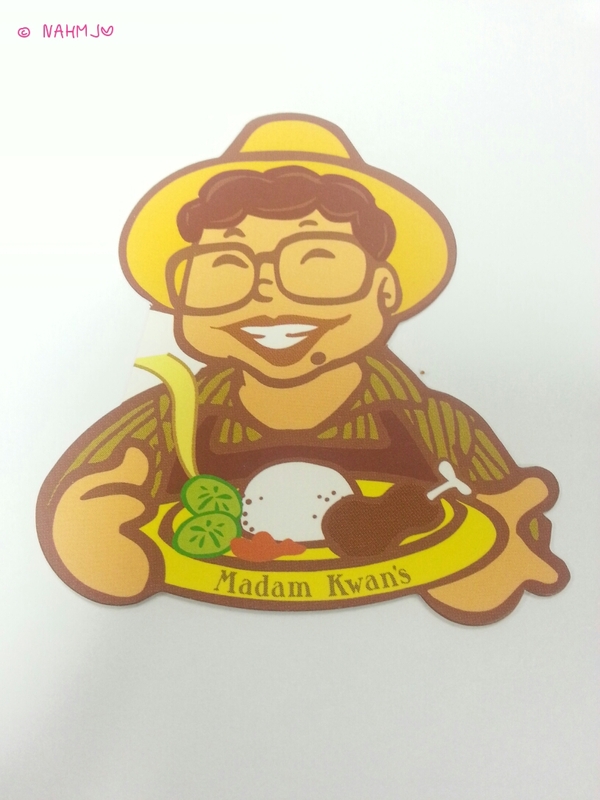 But today, my colleagues suggested that we have lunch at Madam Kwan as we are meeting a ex-colleague. So I followed along. There are dishes that I usually order in Madam Kwan; the Curry Fish Head (of course, it will be for sharing), Nasi Lemak, Nasi Bojari, Cendol. 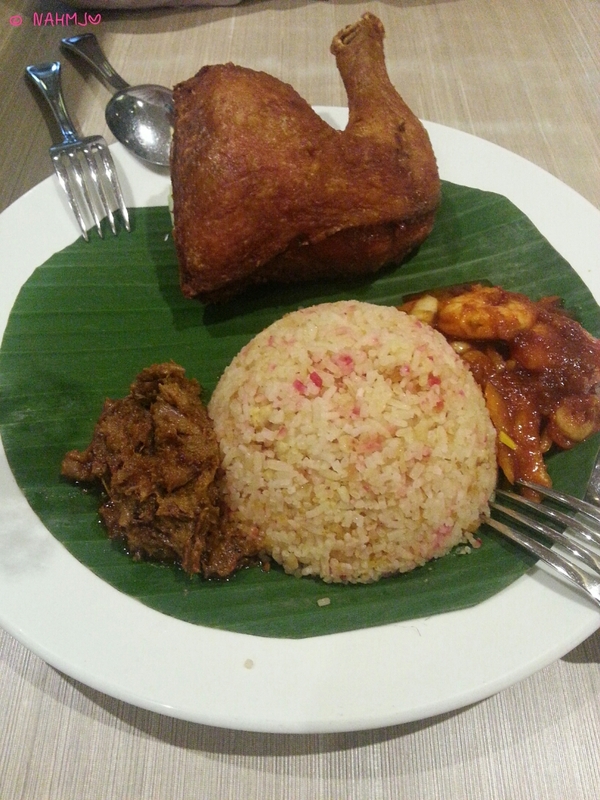 For today, I ordered the Nasi Bojari, a three-coloured rice with fried chicken thigh, rendang and prawn sambal. The food is as good as what was served in Malaysia. Both the beef rendang and prawn sambal were yummy, yummy and not too spicy, just that it is a little too oily. The food is delicious but far too expensive. If you don’t mind paying for it and want to enjoy Hawker Food at a great ambience with air-conditioned environment, it would be a good option. It is definitely a good option to entertain guests, and to introduce them to Asian Food at a relaxing, comfortable place. Nevertheless, I enjoyed the lunch.